because he has looked upon his lowly servant. Yes, from this day forward all generations will call me blessed (Luke 1:47-48). The Assumption of the BVM is one of the ancient feasts Church celebrates in honour of the Mother of God, recalling her entrance into heaven both body and soul. 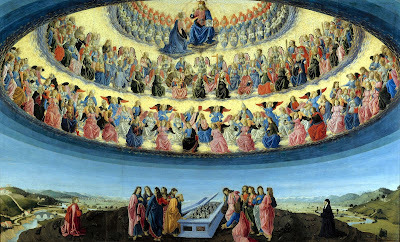 For Centuries theologians have tried to define the mystery of this event; sometimes their efforts and zeal has even become cause of division in the Church, and to this day the Western and the Orthodox Churches hold different views about the actual practicalities of how Our Lady was assumed into heaven. Nevertheless, the mystery we celebrate today should be an occasion of rejoicing for every Christian at the mighty work that God has accomplished in Mary. This lowly servant of the Magnificat, this Immaculate virgin prepared to be the mother of God, this faithful model of discipleship who followed Jesus even to Calvary, this attentive mother who invites us to carry out whatever Jesus commands us to do; this our sister in humanity and our Mother in the faith has been exalted above all creation and taken up into heaven both body and soul, and in her we see our own humanity fully transformed by the resurrection of Christ. 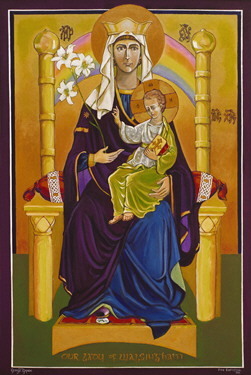 So today we must honour Our Lady in her glorious feast because today God has indeed manifested his favour for his lowly servant, and – in his immense love for humanity – He has given us in the Assumption of Mary a token, a glimpse if you like, of the blessed life that attends the whole Church in heaven. Today, in Mary, we look upon the effect of the saving power of Christ and we are called take heart about the future; if Mary is our Mother we will come to share in her exalted condition through the overwhelming power of God’s grace. and comfort to [God’s] pilgrim people. all generations are to call her blessed. 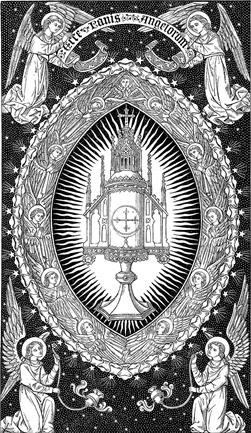 May the constant prayer and protection of Our Blessed Mother help us to be faithful to our call as Christians, and to reach safely that vision of glory she already enjoys. Amen.